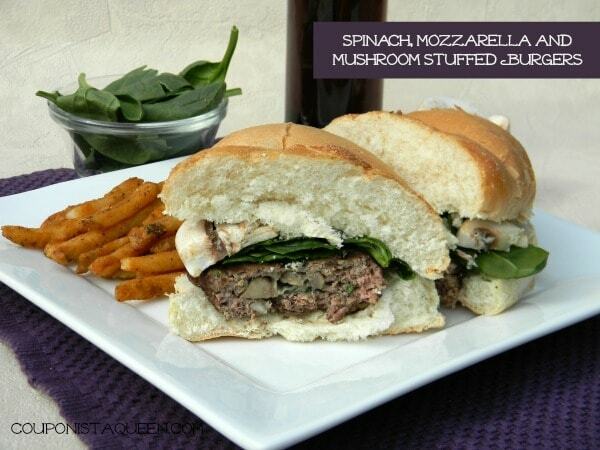 These Spinach, Mozzarella and Mushroom Stuffed Burgers are delicious and easy to make. I use high quality Zaycon Fresh 93/7 ground beef to make sure that you get a delicious and healthy burger that doesn’t shrink up to a little bitty nothing. Find out MORE about Zaycon Fresh foods and find out how you can save more than 30% off grocery prices when you order online and pick up at a location near you! Extra spinach, cheese and mushrooms for garnish. Chop mushrooms and spinach into small pieces. Add in mozzarella. In large mixing bowl mix ground beef, garlic powder, onion powder, salt and 1/4 of the mushroom mixture. Separate the beef mixture into 4 equal balls. Pinch a small amount (1/4) off each ball. 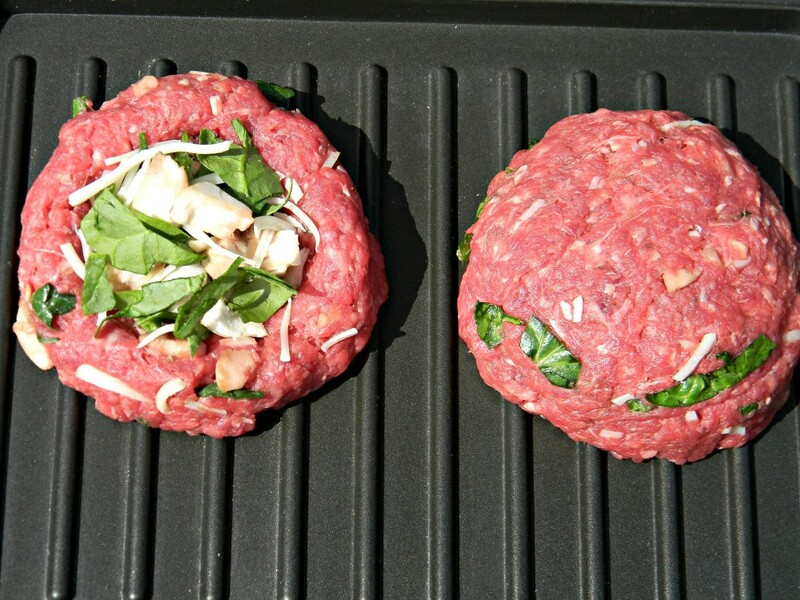 Take the larger ball and make it into a round patty with a hollowed out center. Place some of the mushroom mixture into the hollowed area. 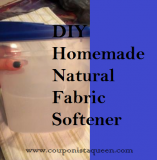 Now take the small pinched off part and flatten to make a top to put over the stuffed burger. Lightly push down on the sides of the top so that they sick to the filled burger, trying to seal in as much of the filling as possible. Now cook for 8 – 10 minutes on a medium high grill or until juices run clear. I used an indoor grill to makes these, but you could also use a pan or a outside grill. Just make sure to adjust time accordingly and be food safe! When burgers are done, top with extra cheese if desired. Garnish with spinach and mushrooms and mayo as you like. I also like to toast the buns on the grill. Super delicious and nutritious!